My mom put my childhood home on the market but before it’s sold, I thought it would be fun to share this 1970 split level home tour. Take my hand and step into my time machine so I can magically transport you back to 1970! But first, I wanted to let you know that I’m headed to Italy today and can’t wait to fill you in on the details when I return. In the meantime, feel free to follow me on Instagram @kelly.elko where I’ll be sharing tons of pics of my adventures – ciao! It’s been 3 1/2 years since my dad passed away and my mom has been living here alone. She is moving into a 55+ community and leaving 48 years of memories behind. 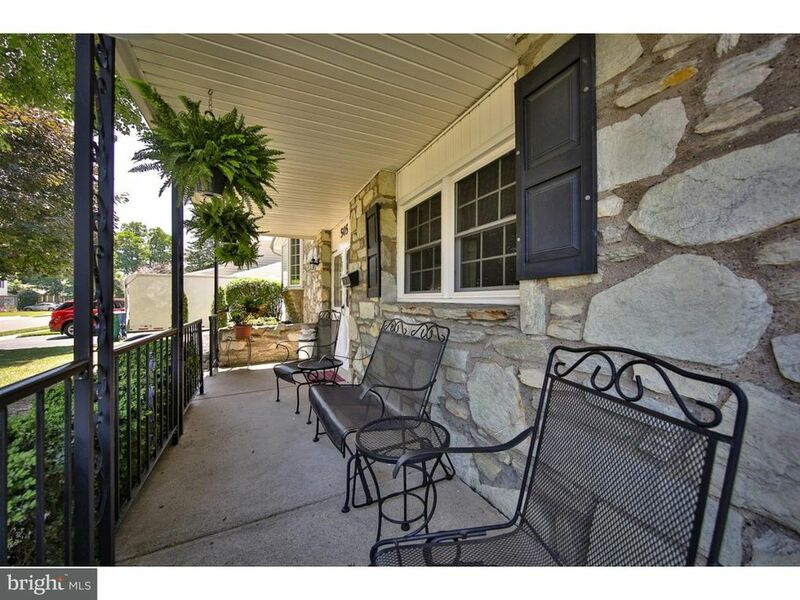 My favorite thing about the house is the real stone exterior and front porch which was an upgrade from the builder. 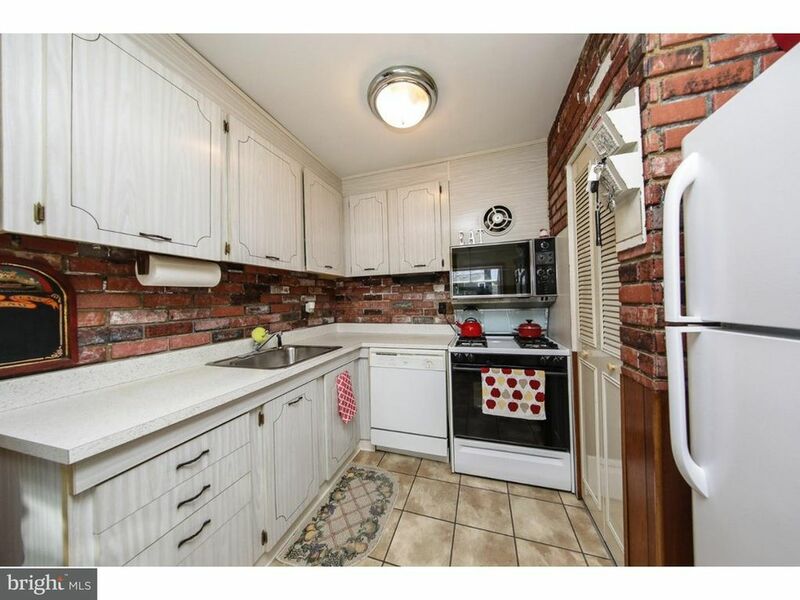 Long gone are the avocado green refrigerator and stove but the original cabinets, countertop and faux brick backsplash remain! The cookie jar was on the fridge and I remember pulling a chair over, climbing on top and reaching in for an Oreo or Chips Ahoy. 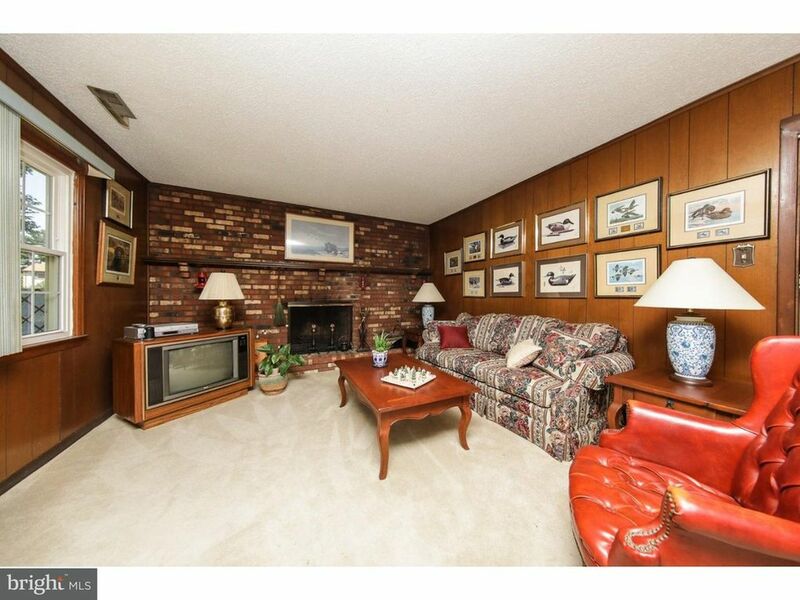 The fireplace wall is real brick and the family room displays just part of my dad’s wildlife stamp art collection (I obviously inherited his collecting gene). My sister and I bought the tv for my parents for Christmas many years ago – my how technology has changed! 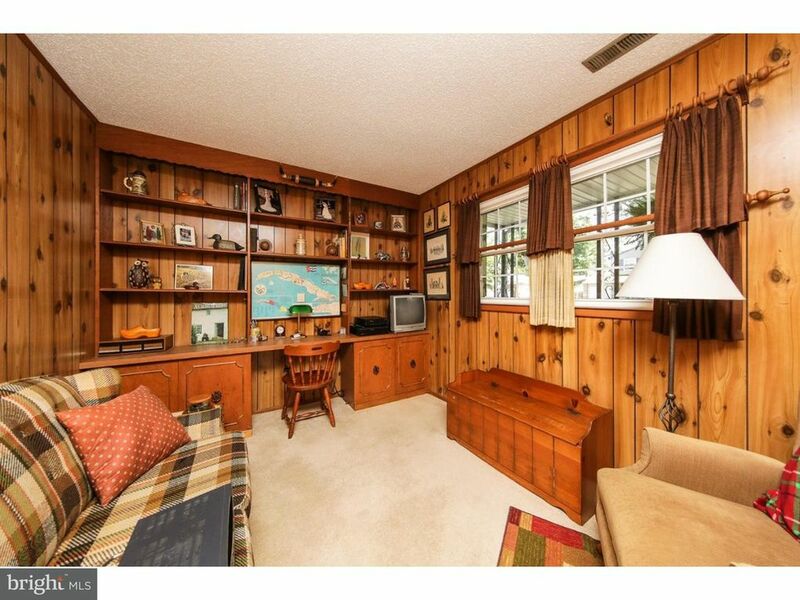 Faux wood paneling was the shiplap of the 70’s! My dad loved lounging in the recliner in his man cave while puffing on his pipe (you can read more about his pipe collection HERE). A map of Cuba (my dad emigrated from there in the early 1960’s) hangs proudly over the built in desk. My dad was an avid hunter and his shotgun collection used to hang on the wall over the sofa. He didn’t have to say much when he would meet one of my sisters or my boyfriends; he just had to lead them into the den to get a glimpse! When my sister moved out, I took over her larger room and worked my decorating magic – clearly it should grace the pages of Better Homes and Gardens! Isn’t the black and white shed adorable! My dad was so proud of this house and took great care of it (although updating furniture was definitely not a priority)! Here’s to keeping fond memories while moving forward. Want to see some home tours that aren’t stuck in a time warp? 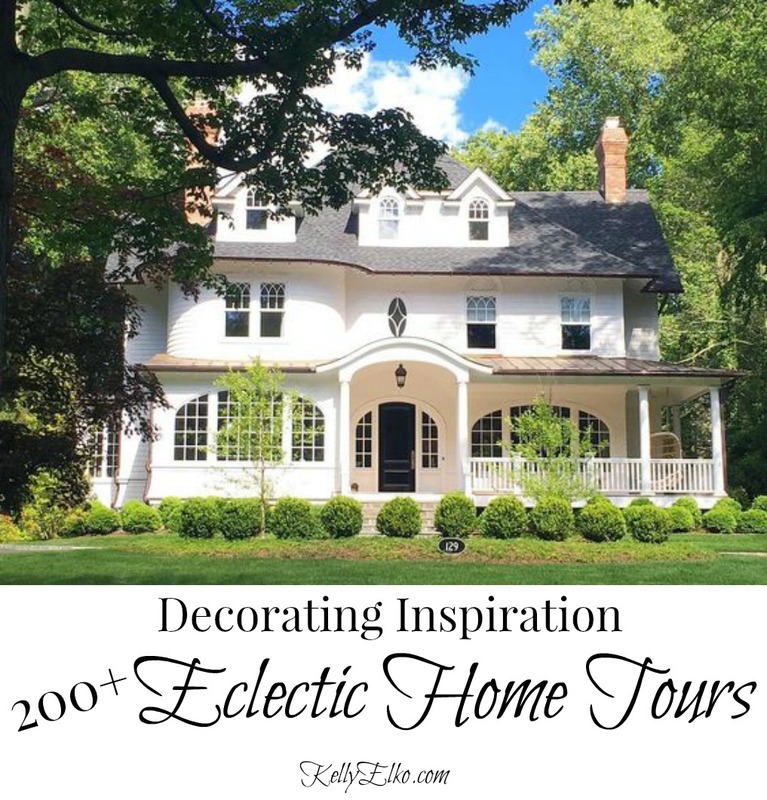 Check out my Eclectic Home Tour page HERE. ok now that was fun! i love seeing the kitchen with touches of red like yours now has! Funny, I was thinking of switching my accessories to avocado green! This makes me sad and happy. So many good memories of growing up in our neighborhood. 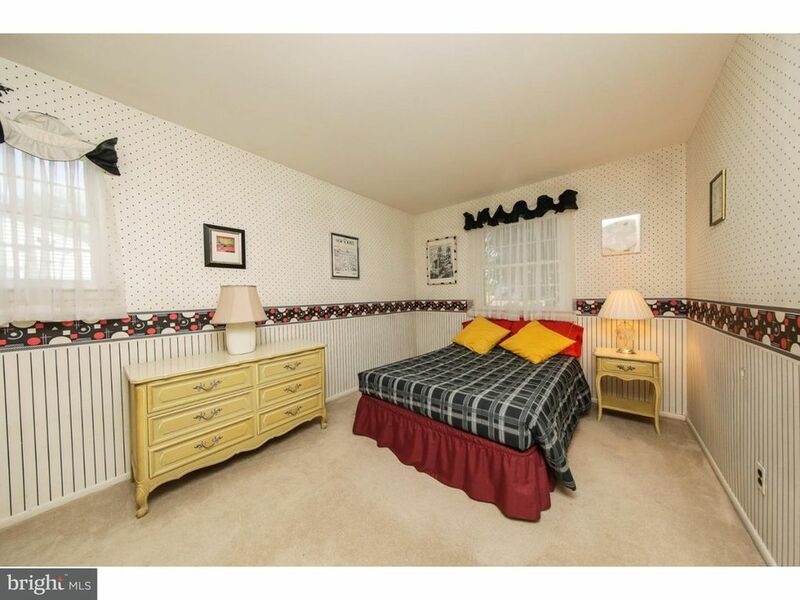 Your house is exactly as I remember it, except Colleen’s room. Thank you so much for posting this. I hope you took lots of photos. To be honest, I didn’t read the post, I was hung up on your mention of Italy!!! I am currently trying to get there for an artist retreat this October. What will you be doing in Italy? Venice, Rome, Positano! I’ll fill you in when I return! I love it!!!! Makes me feel right at home and comfy! That porch is so inviting too. It was a great place to grow up Leilani! We all have memories and need them as we grow older, looks like you had a great place for all your. You have a great time on your trip and i expect millions of pictures,lol! Just got back Marlene – doing 800 loads of laundry! Hope to get pics posted soon! 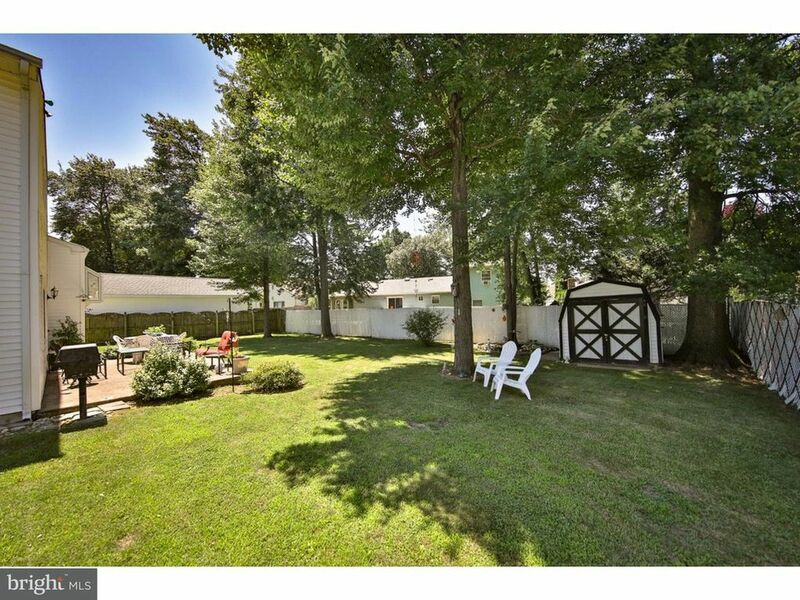 Thank you for sharing your childhood home Kelly! I wish your Mom lots of good luck in her new living situation. Enjoy Italy! Thanks Lisa – she’s excited! You’re welcome and that’s good to hear!